Foundations use knowledge to make decisions. A recent report from the Center for Effective Philanthropy, Understanding & Sharing What Works: The State of Foundation Practice, shows that 80 percent of foundation CEOs surveyed say their organizations are using what they learn about their work — from multiple information sources — to inform their programmatic decisions. But where does knowledge from those addressing similar issues factor into foundations’ decision-making? 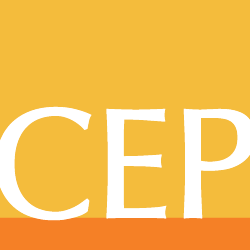 While most foundation leaders report information from peer foundations as relevant and useful in decision-making, only 19 percent of those CEP surveyed say they have enough information about what’s working from similar foundations’ efforts, and only 6 percent know about what isn’t working. In order for philanthropy to have a greater impact, foundations need to both invest in knowledge sharing and support efforts that bring diverse stakeholders to the table. Our program staff works across initiatives — and sometimes across the foundation. Through my roles as senior program officer and as a member of the foundation’s impact assessment and learning (IA&L) team, I am able to bring dual perspectives to my work. I can broker the connection of knowledge we glean from our impact assessment work to our program staff — and be intentional about sharing what program staff is learning with the IA&L team, as well as others outside the foundation. Foundation staff use this type of knowledge to inform programmatic decisions, and the model also helps us listen to and be accountable to each other. We benefit from knowledge learned from others. For example, over the course of a year in 2017, the foundation convened diverse stakeholders from across California, including city and county members, grantees, nonprofit organizations, community colleges, and employers. In these convenings, we dove deep into hearing about their strategic approaches, models, and concerns about getting workers into middle-skill, middle-wage jobs. What we learned from listening, piloting solutions, and assessing outcomes ultimately informed our strategy and approach for our Better Careers initiative. Today, Better Careers is a multiyear initiative that connects low-income Californians to good jobs with family-sustaining wages and advancement opportunities through career pathway programs, employer engagement strategies, and knowledge of field-building, policy-level initiatives that strengthen the “playing field” for all California low-income workers to have the power to advance economically. Without listening to and learning from our key stakeholders, our strategy for the program would not look the way it does today. Learning from each other and building our understanding of what is and isn’t working in the field is how we are able to assess the impact of our work — and make the best decisions about our grantmaking. Our intent is to use what we learn to continue to inform our own strategies, and to regularly share key learnings from our work with others. Kelley Gulley is senior program officer at The James Irvine Foundation. Follow her on Twitter at @Kelley_D_Gulley, and learn more about Irvine’s learning journey here.